The U.S. job market is continuing to stay strong across various industries, in large part due to a 4.0% unemployment rate and the labor force participation rate at 63.2% (its highest mark since 2013). And the top city for jobs in the U.S. currently is Scottsdale, Arizona, according to a recent study by WalletHub. Of the 182 cities ranked, Scottsdale tied for the highest annual median income —a factor that was adjusted for cost of living — at $72,455, compared to the U.S. average of $53,482 a year. 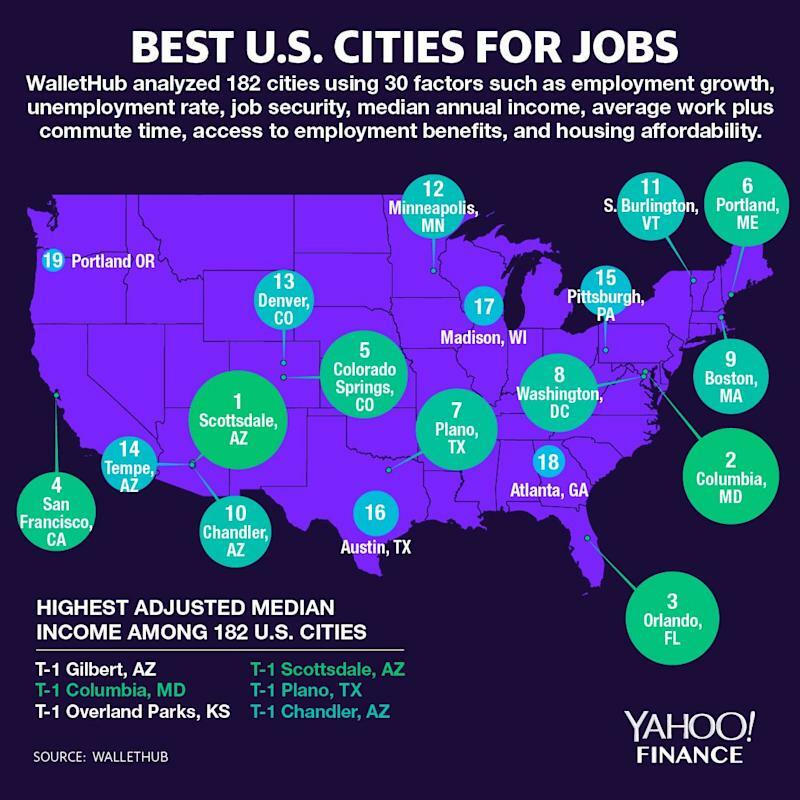 WalletHub calculated the best U.S. cities for jobs by analyzing 30 different factors including employment growth, unemployment rate, employment outlook, job security, access to employment benefits, median annual income, average work plus commute time, and housing affordability. Together, these were used to compile a ranking system. San Francisco, ranked fourth overall, and Washington, D.C. (8th overall) were tied for the highest monthly average starting salary while being third and first, respectively, in the longest average work plus commute time. In D.C., its unemployment rate is 5.5%. Most jobs in that region are in the field of government. In the heart of Silicon Valley, San Francisco has a high number of jobs in the areas of personal care aides, software developers, and servers. With the city boasting a 2.5% unemployment rate, WalletHub concluded that it is relatively easy to find a job in San Francisco. 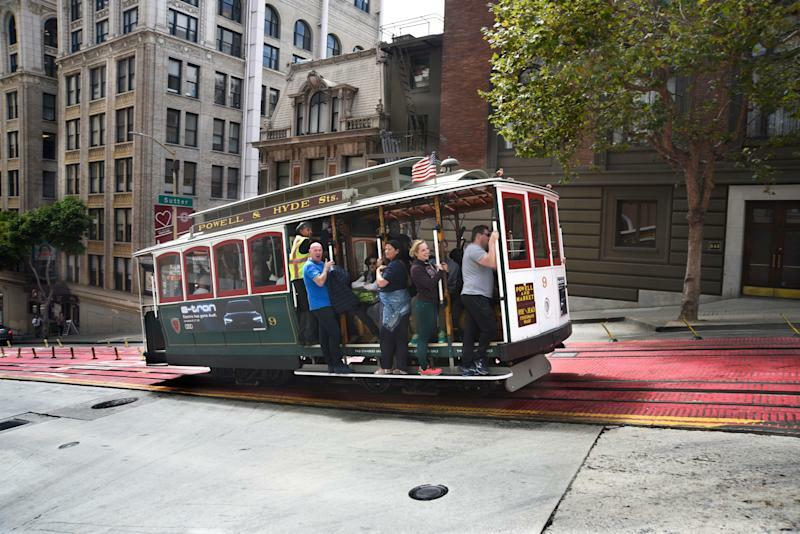 She added: “In terms of socio-economics, San Francisco is very well served by the public transit network, and the city's residents have some of the lowest annual transportation costs in the country." In Portland, Maine, the sixth-best city for jobs, there are a large number of job opportunities. The city’s unemployment rate is also tied for the lowest. Other major cities with the lowest unemployment rates include South Burlington (1.8%), VT, the 11th-best city overall, and Madison, WI (1.9%), the 17th-best city overall.